Federal College of Education (Technical), Potiskum. (FCE Technical, Potiskum) Job Vacancy and Recruitment Advertisement for the Post of College Librarian in March 2019. 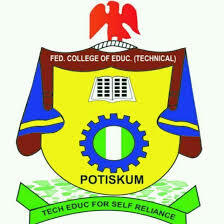 The Federal College of Education (Technical) Potiskum, Yobe State invites applications from suitably candidates for the vacant position of College Liberian. Applications closes on 20th March, 2019.